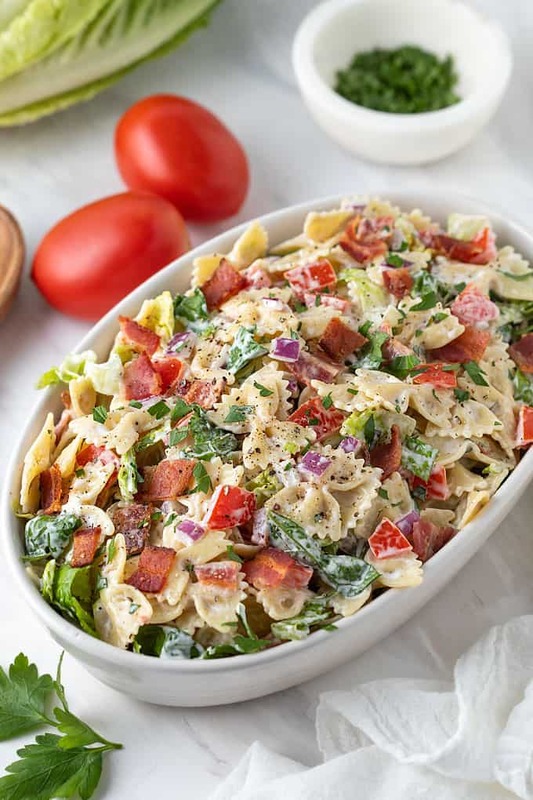 Take your BLT game to a whole new level with this BLT Pasta Salad – It’s always a potluck favorite! 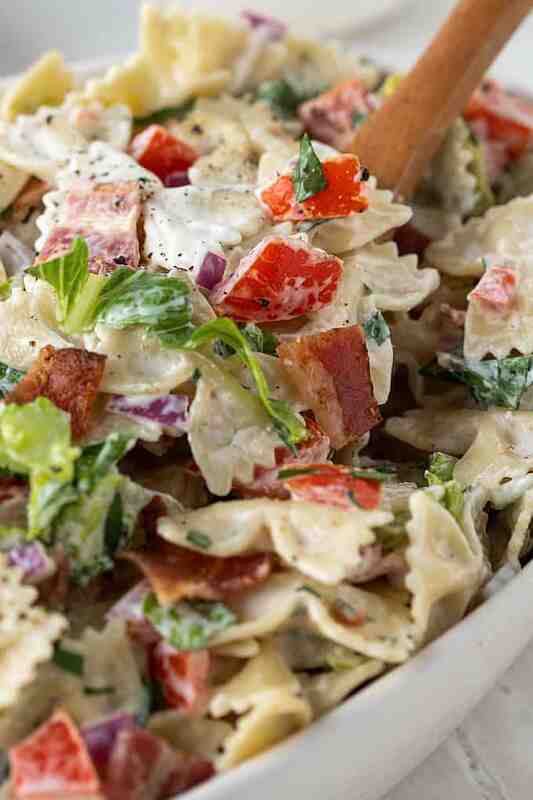 Besides… if it has bacon it has to be good, am I right? 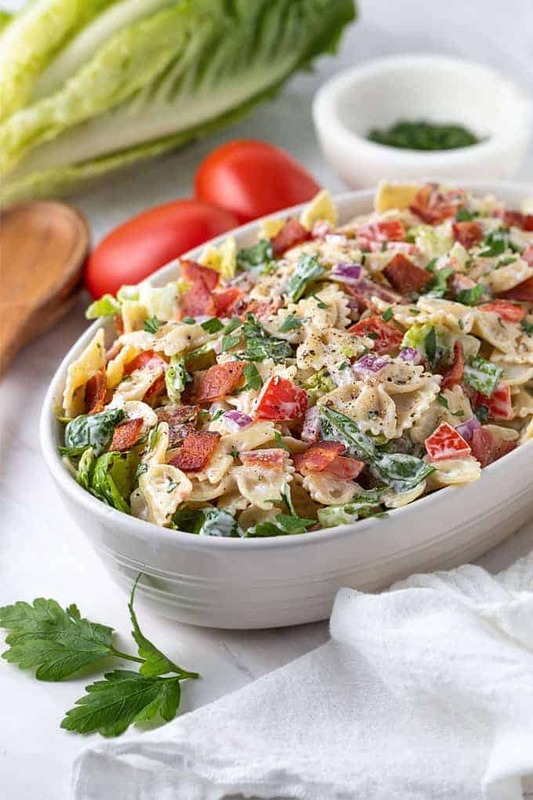 You just can’t go wrong with tender pasta coated with creamy ranch dressing tossed with crispy bacon, lettuce, tomato, red onion, parsley and seasonings. The ingredients needed for this recipe couldn’t be any simpler. 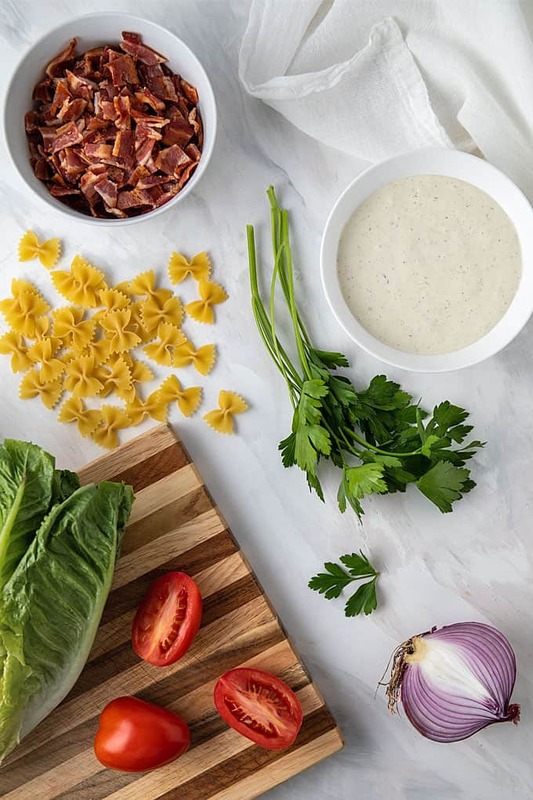 You can use store-bought dressing or make your own homemade ranch dressing. I recommend serving this immediately so that the bacon and lettuce do not get soggy while refrigerating. 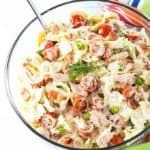 A work-around would be to make the pasta salad without the bacon and lettuce, cover and refrigerate until ready to serve, then toss in the bacon and lettuce just before serving. 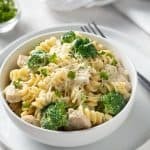 Although this makes an incredible side dish, I sometimes eat a big bowl of this as a satisfying meal since it has meat, veggies and pasta. 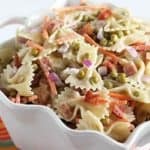 I like to use bow tie pasta, but pretty much any type of pasta will do. 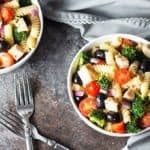 This recipe feeds a good crowd! I measured this to be right around 12 cups, so it’s perfect for potlucks and cookouts. 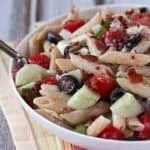 The number of servings will totally depend on your guests’ appetites. Originally published June 23, 2016. 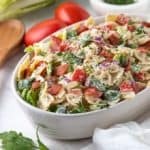 Republished with new photographs and slight revision of recipe on April 6, 2019. 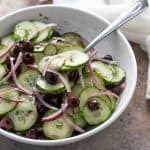 This is the perfect, easy side dish for 4th of July! Love the flavors and the color.